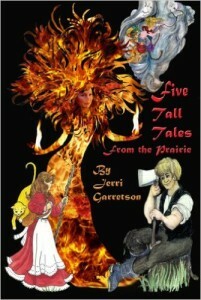 Five rollicking tall tales of men and women of the prairie, from Johnny Kaw who shaped that land and trails of Kansas to Kansas Katie who made it the sunflower state; from Cottonwood Clyde whose fiddle music transformed a town to Fireball Faye who charmed a young newcomer into playing with fire and Twister Twyla who rode tornadoes in the rodeo. Notes about tall tales and each story are included. Tall tales are good read-aloud stories for all ages.